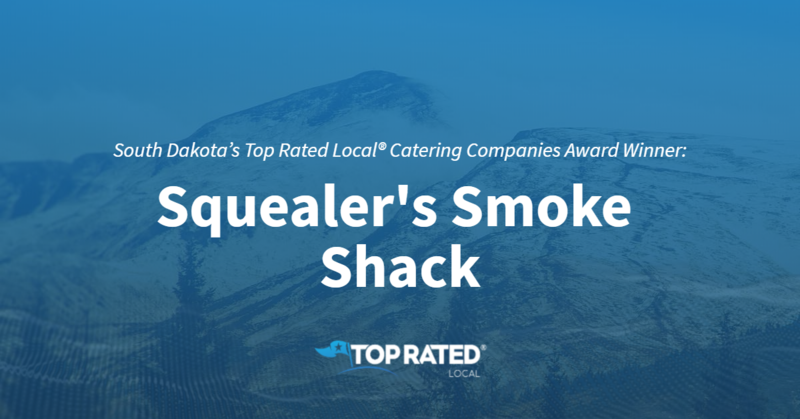 Top Rated Local® is pleased to announce that Squealer’s Smoke Shack is a 2019 award winner for catering companies in South Dakota! Satisfy your guests with a mouth-watering feast at your next event by relying on the experts at Squealer’s Smoke Shack in Tea. Squealer’s Smoke Shack has received hundreds of reviews on four verified sites with an average rating of 4.76 stars, earning them an incredible Rating Score™ of 95.56 and a 2019 Top Rated Local award for ranking among the top 10 catering companies in all of South Dakota! “Roxie does an amazing job! Whether it be dinner for our family during the week or weekend, all the way to hosting our business Christmas party, she goes all out for a top-notch homemade BBQ meal, INCLUDING phenomenal customer service! We love Squealer’s! Thank you, Roxie!” – Sara K.
Dustin, the owner of Squealer’s Smoke Schack, generous gave us a few minutes of his time to tell us about his one-of-a-kind business and its stellar online reputation. Dustin attributes Squealer’s Smoke Shack’s strong online reputation to their good service, their good food and the great staff they have that’s been around for years. Outside of building a powerful online reputation, this local, family-owned business has gotten their name out there through their website and Facebook page, but according to Dustin, word of mouth is their biggest source of new customers. The fact that so many of their customers are happy to spread the word speaks to the quality of both the food and the service at Squealer’s Smoke Shack. Congratulations to the team at Squealer’s Smoke Shack for being a 2019 Top Rated Local award winner, and thank you so much, Dustin, for taking the time to speak with us! We highly recommend Squealer’s Smoke Shack in Tea. Visit their website today! 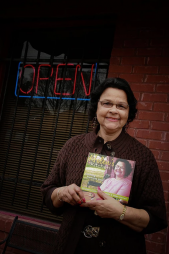 Top Rated Local® is pleased to announce that Helen’s Kitchen & Catering is a 2019 award winner for catering companies in Mississippi! When you want to make your next event memorable, you need to hire the right caterer, and in Columbus, there’s no better option than Helen’s Kitchen & Catering. Helen’s Kitchen & Catering has received dozens of reviews on four verified sites with an average rating of 4.63 stars, earning them a phenomenal Rating Score™ of 94.32 and a 2019 Top Rated Local award for ranking among the top 10 catering companies in all of Mississippi! “There is exactly one food item at exactly one restaurant in the Golden Triangle area of MS that is world-class food, and that is the fried chicken at Miss Helen’s. It is by far the best fried chicken in the area and will stand up to the best in the world, including Willie Mae’s in New Orleans. If you love fried chicken, you owe it to yourself to eat Miss Helen’s. The place is not easy to find, there is no sign on the building, but it is well worth the search.” – John C.
State Rep. Kabir Karriem, a member of the Mississippi House of Representatives and the owner of Helen’s Kitchen & Catering, generously gave us a few minutes out of his busy schedule to tell us about his award-winning business and its tremendous online reputation. Outside of building a powerful online reputation, Helen’s Kitchen & Catering has gotten their name out there through social media and radio and television ads, but according to Kamir, word of mouth is their biggest source of growth and has really helped them over the years. Congratulations to the team at Helen’s Kitchen & Catering for being a 2019 Top Rated Local award winner, and thank you so much, Kabir, for taking the time to speak with us! We highly recommend Helen’s Kitchen & Catering in Columbus. Visit their website today! Top Rated Local® is pleased to announce that Above & Beyond Catering is a two-time 2019 award winner in North Carolina! Make your next event delicious by turning to the experts at Above & Beyond Catering in High Point. Above & Beyond Catering has received hundreds of reviews on six verified sites with an average rating of 4.90 stars, earning them a tremendous Rating Score™ of 98.97 and two 2019 Top Rated Local awards for ranking among the top 100 business and the top 10 catering companies in all of North Carolina! We wanted to learn a little more about Above & Beyond Catering and how they managed to build the kind of online reputation any business would envy, so we sat down with the manager, Shelley Tornstrom. The first question we had for Shelley was what sets Above & Beyond Catering apart from the many other catering companies in North Carolina. Shelley told us that they are known for their strawberry shortcake and their macaroni and cheese, and that their level of service along with their recipes are really what sets them apart. She went on to tell us that they have the name, “Above & Beyond,” because that is exactly what they do! Shelley credits Above & Beyond Catering’s strong online reputation to Christi White — the wonderful owner of Above & Beyond — and the people who work there. They are very close-knit, and they look out for one another and focus on the little stuff that a lot of catering companies might forget. Outside of building a powerful online reputation, Above & Beyond Catering has spread the word about who they are and what they do through word of mouth, which speaks to the high level of service they provide. Congratulations to the team at Above & Beyond Catering for being a 2019 Top Rated Local award winner, and thank you so much, Shelley, for taking the time to speak with us! We highly recommend Above & Beyond Catering in High Point. Visit their website today! Top Rated Local® is pleased to announce that Eat Drink Love Catering is an award winner for catering companies in 2019. For a caterer in Ocean Springs who has healthy and homemade options, look no further than this award-winning company! 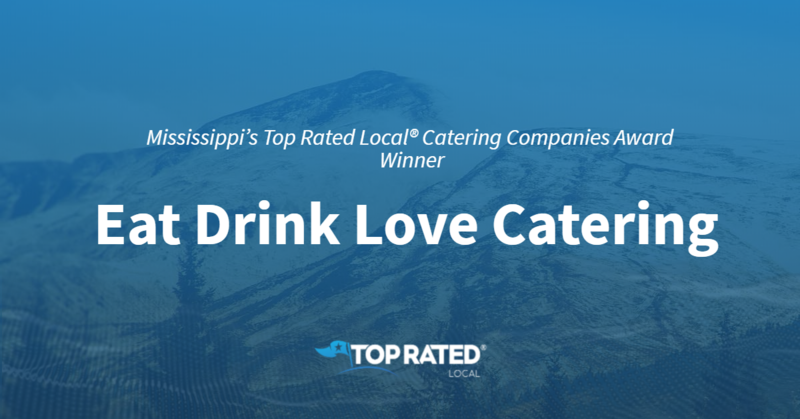 Eat Drink Love Catering has received many overwhelmingly positive reviews across four different verified sites with an average rating of 4.95 stars, earning them an impressive Rating Score™ of 97.47 and two 2019 Top Rated Local award for ranking as one of the top 50 businesses and the number one catering company in Mississippi! 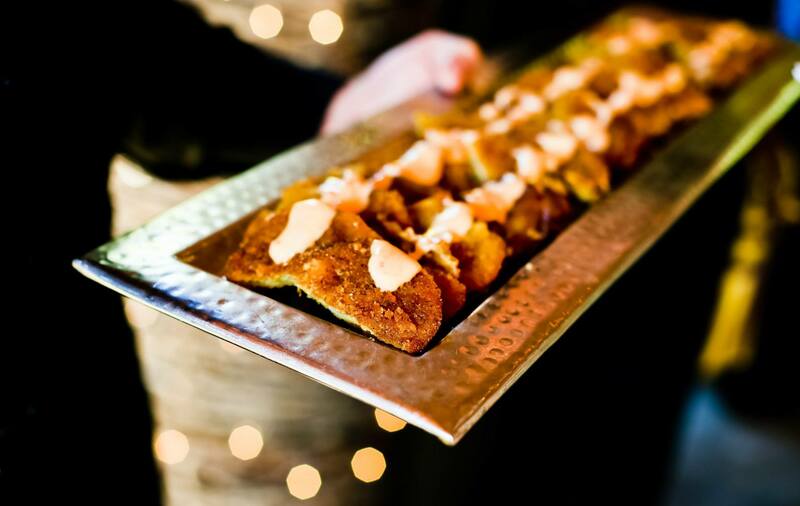 “Eat Drink Love catered my wedding… and all of the guests RAVED on how delicious the food was! [There were] so many healthy, vegetarian and gluten-free options for family members with dietary restrictions, and [they had] such a beautiful setup! The sweet potatoes were INCREDIBLE! 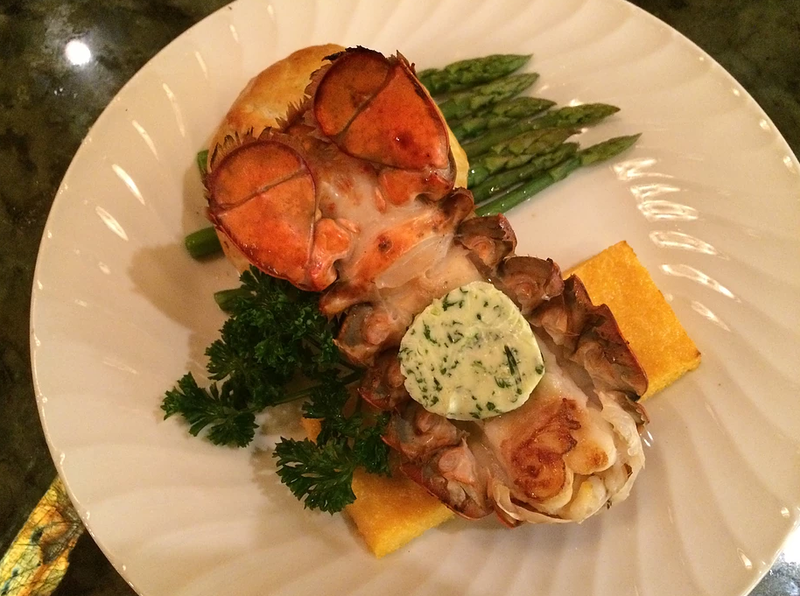 [They have] great food, chic décor, [a] large menu, large portions, [and] healthy options” – V.L. It is because of excellent reviews like this that Eat Drink Love Catering is now able to call themselves a Top Rated Local award winner! We were excited to learn all about how Eat Drink Love Catering has been able to build such an impressive reputation, so we sat down with the owner, Lauren. To add to the feeling of nostalgia, they use farmhouse tables in the hopes that people will come in and feel right at home, and be able to sit down and make friends. All of this is in-line with working on their company mission, which Lauren says is ultimately to bring people together. They also offer take-and-bake options so that people can take the food home at the end of their day. With as impressive a reputation as Eat Drink Love Catering has, we were not surprised to learn that word-of-mouth marketing has been their primary source of marketing. Lauren also told us about the importance of a caring and passionate staff. She told us that they get a lot of positive feedback about their customer service. 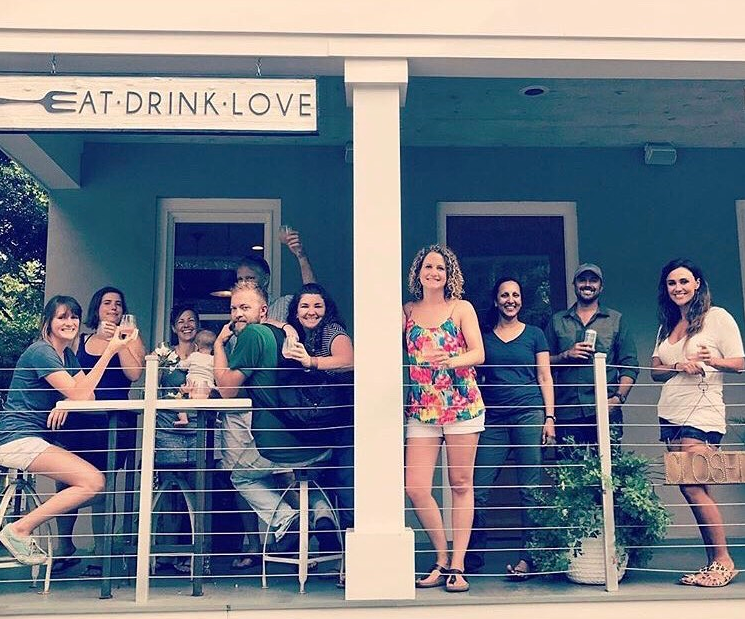 Congratulations to Eat Drink Love Catering for being a 2019 Top Rated Local award winner, and special thanks to Lauren for taking the time to speak with us! Top Rated Local® is pleased to announce that Catering By Design is a 2019 award winner for catering companies in North Carolina! When you need great food and unbeatable service for your event, you need Catering By Design in Cary. Catering By Design has received more than 150 reviews on five verified sites with an average rating of 4.91 stars, earning them a tremendous Rating Score™ of 99.12 and two 2019 Top Rated Local awards for ranking among the top 100 businesses and the top 10 catering companies in all of North Carolina! “Our wedding was wonderful. One thing you always hope for is delicious food for your guests. We had nearly 200 people, and everyone loved it. The shrimp and grits were the big hit. But the service and the food were all wonderful!” – Mitchell C.
Kelli, the Catering Director at Catering By Design, generously gave us a few minutes of her time to tell us about this one-of-a-kind business and its impressive online reputation. The first question we had for Kelli was what makes Catering By Design stand out when compared to the many other catering companies in North Carolina. Kelli emphasized the next-level customer service they offer and told us that they return calls immediately and that their communication is outstanding. From beginning to end, they are involved down to every last detail. It also helps that the food is great and the staff is award-winning. We also wanted to know what their mission is a Catering By Design and how they work to make the world a better place. Kelli told us that their mission is to provide great food and service for social events as well as corporate events. She also said that they pass down food to the homeless; they care about each other as a company and treat each other like family. Kelli attributes Catering By Design’s strong online reputation to the hard work their staff puts in day in and day out to make their clients feel cared for. Outside of building a powerful online reputation, Catering By Design has gotten their name out there by putting on wedding and open house shows at venus, and through social media management. 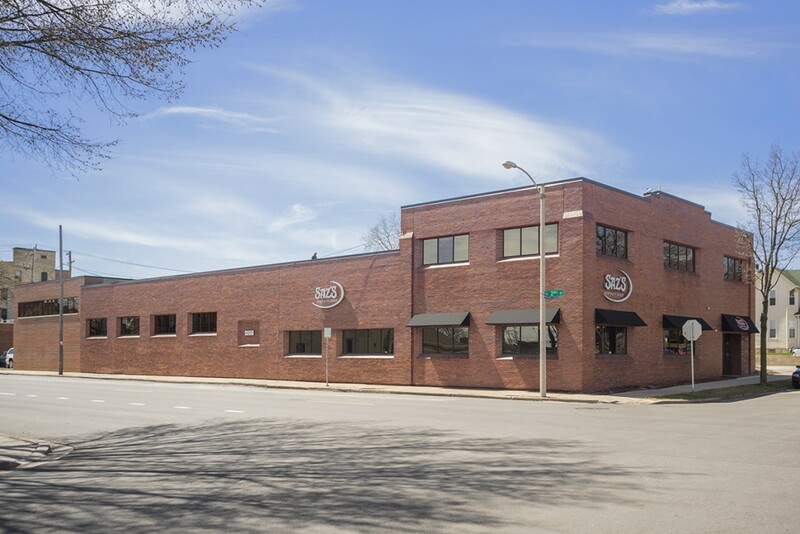 Congratulations to the team at Catering By Design for being a 2019 Top Rated Local award winner, and thank you so much, Kelli, for taking the time to speak with us! We highly recommend Catering By Design in Cary. Visit their website today! Top Rated Local® is pleased to announce that Old West Dutch Oven Catering Company is not only one of the top three catering companies in South Dakota, but one of the top 100 businesses in the state overall! 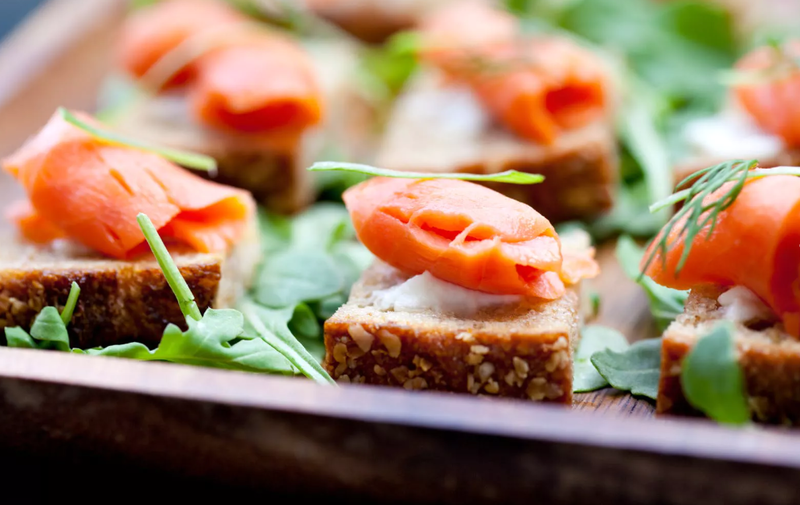 “[The] food was soooo delicious at our wedding! Tim was great and easy to work with. I highly recommend using them for your event! My family from all over the country was raving about the food at our wedding. Guests also said it was ‘the best pulled pork I’ve ever had!’ You won’t be disappointed!” -Chelsea S.
That’s just one of the dozens of outstanding online reviews Old West Dutch Oven Catering Company has received, giving them a 96.00 Rating Score™, a 5.00 average star rating, and a 2019 Top rated Local award! Tim Nold, the owner of Old West Dutch Oven Catering Company, took some time to chat with us about his business’ remarkable online reputation. According to Tim, the Old West Dutch Oven Catering mission is simply to provide high-quality food. They focus mostly on weddings, but also serve company picnics, wedding receptions, graduation receptions, and more. Congratulations to the team at Old West Dutch Oven Catering Company for being a 2019 Top Rated Local award winner, and thank you so much, Tim, for taking the time to speak with us! We highly recommend Old West Dutch Oven Catering Company in South Dakota. Visit their website today! 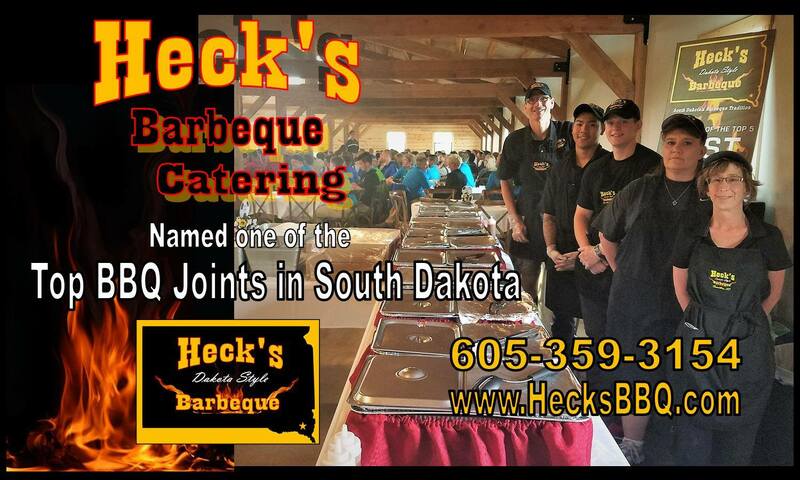 Top Rated Local® is pleased to announce that Heck’s Dakota Style BBQ is a 2019 award winner for catering companies in South Dakota! No other catering company in Vermillion can make your event quite as delicious as Heck’s Dakota Style BBQ can. Heck’s Dakota Style BBQ has received dozens of reviews on multiple verified sites with an average rating of 5.00 stars, earning them a fantastic Rating Score™ of 94.00 and a 2019 Top Rated Local award for ranking among the top 10 plumbers in all of South Dakota! “We had Heck’s cater for our daughter’s wedding, and they were awesome. The food was delicious, and the people were very helpful. [I] would recommend them to anyone who needs a caterer. Some of our guests wondered about us having BBQ, but all we heard were good comments about the food. It didn’t break the bank either; [it was] very affordable. Thank you, Heck’s Dakota Style BBQ! !” – Susan G.
Jody Harnois, the owner of Heck’s Dakota Style BBQ, generously gave us a few minutes of his time to tell us a bit about his award-winning catering company and its impressive online reputation. To kick off our conversation, we asked Jody what it is that makes Heck’s Dakota Style BBQ unique compared to the many other catering companies in South Dakota. Jody points to the fact that they are a family business with family recipes, and that their BBQ sauce is more than 80 years old! He shared with us that they cook all of their food from scratch over corncobs and hickory, that they have a reputation that speaks for itself and that they use quality equipment and recipes. We also asked Jody what their mission is at Heck’s Dakota Style BBQ. Jody said that they aim to serve the best BBQ possible and to represent their family heritage. Jody attributes Heck’s Dakota Style BBQ’s strong online reputation to the good quality food they serve, and to the reasonable prices they serve it for. Outside of building a powerful online reputation, Heck’s Dakota Style BBQ has gotten their name out there through social media and by reaching out to people. Congratulations to the team at Heck’s Dakota Style BBQ for being a 2019 Top Rated Local award winner, and thank you so much, Jody, for taking the time to speak with us! We highly recommend working with Jody and his team at Heck’s Dakota Style BBQ. Visit their website today!